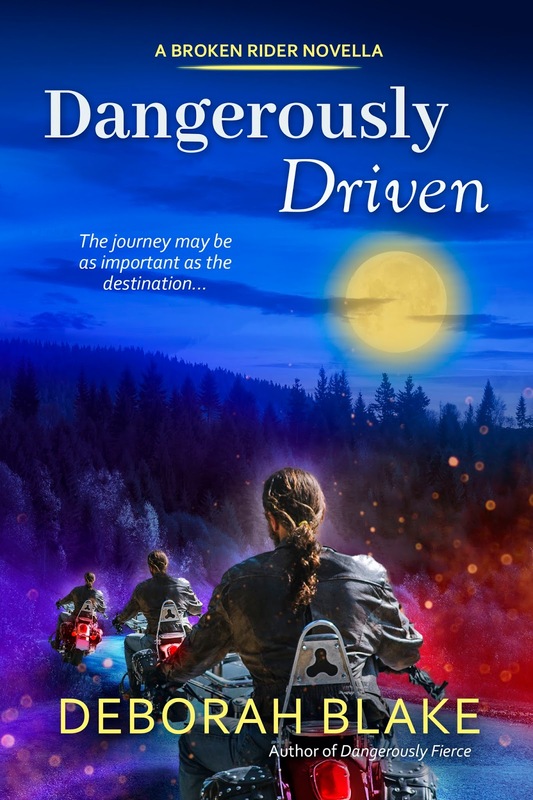 Release Day for Dangerously Driven! It’s finally here! As promised, I’ve written a Broken Riders reunion novella featuring all three brothers. (And the Baba Yagas too.) It takes place after the events of Alexei’s book, DANGEROUSLY FIERCE, which came out earlier this year. The brothers have all finally found new lives, but there is still something missing—each other. Neither Mikhail, Alexei, nor Gregori are enthusiastic about the invitation to join the three Baba Yagas at Bella’s home in the Wyoming woods. But Bella and her apprentice Jazz have just spent a year in the Otherworld after Jazz’s disastrous attempt to cure the Riders’ loss of their immortality, so it isn’t really a summons any of them can refuse. As much as they might wish they could. Here are some buy links. It will be out in paperback too, hopefully within a few days. For now, you can find the ebook at most places. Did I mention that the eBook version is only $2.99? I think the ending might come as a surprise… I hope you like reading it as much as I liked writing it. Up next, maybe another Baba Yaga book? I have some ideas. Bwahahaha. Of course, since it is a book release day, there will be a celebration giveaway! Pretty please help me to spread the word and also, if you read the novella and like it, don’t forget to take a minute to leave a quick review at Amazon, B&N, and/or Goodreads. Thanks so much! Look what I'm giving away! Harry Dresden thought I should give away a Fire HD Tablet, since most people will be reading this as an ebook. Koshka, on the other paw, thought I should give away a signed copy of Dangerously Fierce, along with a bookmark and a magnet. Then the photo shoot descended into chaos. So I decided I'd pick two winners, and give away both! I figured y'all would be okay with that. I think she did a great job--I hope you do too. The novella is finished and I'm just waiting for the last feedback from editors and First Readers. Hopefully it will be out in the next week or two. Watch this space! 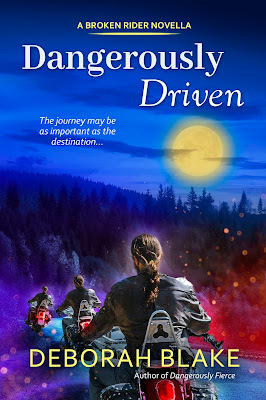 With no further ado, I give you, the cover of DANGEROUSLY DRIVEN. OMG! The Little Book of Cat Magic is coming out from Llewellyn three months from today! That might seem like a long time to you, but considering that the book has been in the works for about two years, it suddenly seems darned close to me! It was about this time two years ago that my editor Elysia Gallo from Llewellyn sent me a late birthday gift. She had already warned me that it was something I would either love or hate... And when I opened the package, I was completely baffled. Why, I asked myself, would Elysia send me a book of Dog Magic? She knows I'm a cat person. Then I read the card and burst into laughter in the middle of my driveway. Basically, she said, "How would you like to write the Book of Cat Magic? You know you want to. Right?" And of course, she was right. As my agent said, when I ran the idea past her, "It's the Book of Cat Magic! Who else should write it?" So that's how I came to write what turned out to be The Little Book of Cat Magic. I'm actually pretty proud of this book. It wasn't as simple or easy to write as it seems. But I think people are going to like it. For me, it is special for two reasons. One, it is my first HARDCOVER. (Seriously, how cool is that?) And second, and a bit sadder, is that this is Magic the Cat's last book with me. I just worked on the final proof edits, which require rereading the entire manuscript, and there is lots of advice from her, and mentions of both her and her brother Mystic. I won't kid you--it was tough. But as my lovely readers reminded me on Facebook when I posted about it, that just makes it Magic's legacy, and her last gift to the world. And to me. That's pretty cool too, when you think about it. That stuffed black kitty seems to be moving! And now he has fallen over. Oh, great. Now Koshka is helping too. In case you can't quite tell because of the helpful cats, this is a black cat themed goodie bag, with a stuffed black cat, a black cat bookmark, a fun pen, and a black and white duck-cat for the bath or shower. I'm giving away three of these, although accent colors might vary. Mostly just because they are so cute, I can't help myself. Obviously, I'd love it if you preordered the book (publishers love that too). Here are a few "Buy Links" if you're in the mood. But even if you don't feel like preordering the book, feel free to enter the contest by filling out the Rafflecopter form below. As always, no purchase is necessary. I'll love you anyway, I promise. If you can't wait three months to get a look at the book, I will be putting up sneak peeks and snippets on my PATREON for those who follow me at the $5/month level and above. So tell me, are you looking forward to this book as much as I am? So many cute dogs! Ellen always makes new friends. It was so hot, the hair was up. Me and Nate, looking mildly overheated but happy. The Faerie Queen, leading the processional. I loved the tee shirt Sophie put on when we got home. One of the artists did all these cool acorn people! Of course I got the one who was reading a book.